Hungary’s gas supplies are secured for next year even if Moscow and Kiev fail to sign a new gas transit deal by the end of the year, Foreign Minister Péter Szijjártó said after talks with Gazprom CEO Alexei Miller in Moscow on Thursday. “Today we signed an agreement with the CEO of Gazprom ensuring that the company will supply Hungary with gas next year regardless of whether or not Russia and Ukraine sign a new transit deal,” Szijjártó told MTI. Hungary will next year again purchase a portion of its gas imports through Austria, Szijjártó said, adding that Hungary will also have to use its “unmatched gas storage capacities” to its advantage. He noted that Hungarian reservoirs can store 6.3 billion cubic metres of natural gas. Hungary has also agreed to purchase the gas to be stored for 2020 before the end of the year, he added. As regards Hungary’s long-term energy security, Szijjarto said the government was counting on the eventual availability of a new southern gas supply route. Gazprom is working with Bulgaria and Serbia on delivering gas to Hungary and Austria via the Turkish Stream gas pipeline, he noted. The minister vowed that Hungary will have the necessary infrastructure for that supply route ready by the beginning of next year. 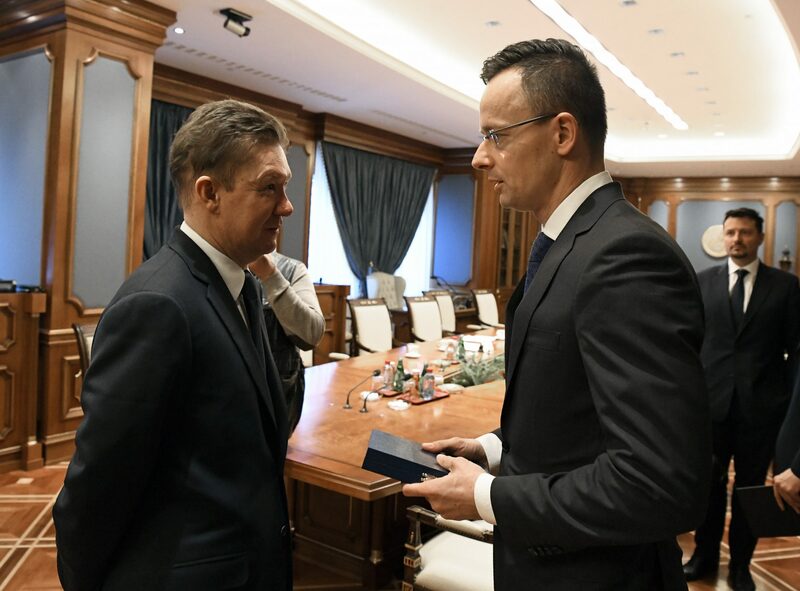 Szijjártó said Miller had told him that Gazprom was not expecting any delays in the construction of the Nord Stream 2 pipeline, with one-third of the pipeline already completed. Concerning Turkish Stream, Miller said Gazprom was in advanced talks with Bulgaria, Greece and Serbia, and that the completion of the new supply route was “completely realistic”. Szijjártó also held talks with Nikolay Fyodorov, first deputy chairman of Russia’s Federation Council, Russian Deputy Foreign Minister Vladimir Titov and Energy Minister Alexander Novak.